If you are looking for the most unique pet store in OKC, look no further than Pet-Vet Supply in Midwest City. Our pet supplies and accessories are unrivaled anywhere else. Throughout the aisles of our lavish pet store, Oklahoma City pet owners can pick up one-of-a-kind items as well as staples like food, treats, and toys. We’re here to answer your questions. Stop by our pet store, conveniently located in Midwest City just off I-40, or call (405) 733-4648. Caring for a pet can be a complicated process. Wading through the sea of products, foods, and supplies can become a very complicated endeavor. Trust the employees at Pet-Vet Supply to help guide you on your journey of raising your pet. 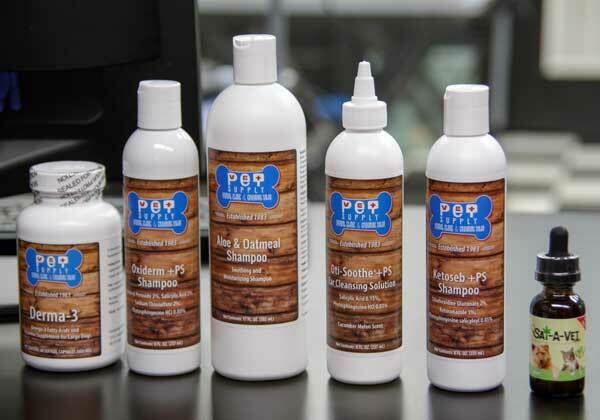 At Pet-Vet Supply, we stock only products that meet our rigorous quality standards. Our trained experts and veterinarians choose only the highest quality pet foods. Of all the pet shops in Oklahoma City, Pet-Vet Supply’s selection and quality is unmatched. In addition to our pet supply store, we offer a full-service grooming salon and animal clinic. Choose the most convenient store with the friendliest staff to help you out today!